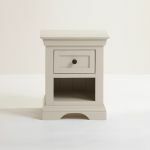 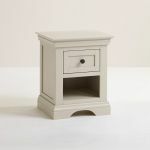 A beautiful versatile mid-tone grey bedside table to add a clean and sophisticated look to your home, this bedside table will truly stand the test of time in your home. 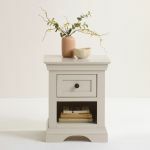 It's got lots of storage, including a drawer with real dovetail joints to hold accessories out of sign, and a lower display shelf, perfect for books or throws. 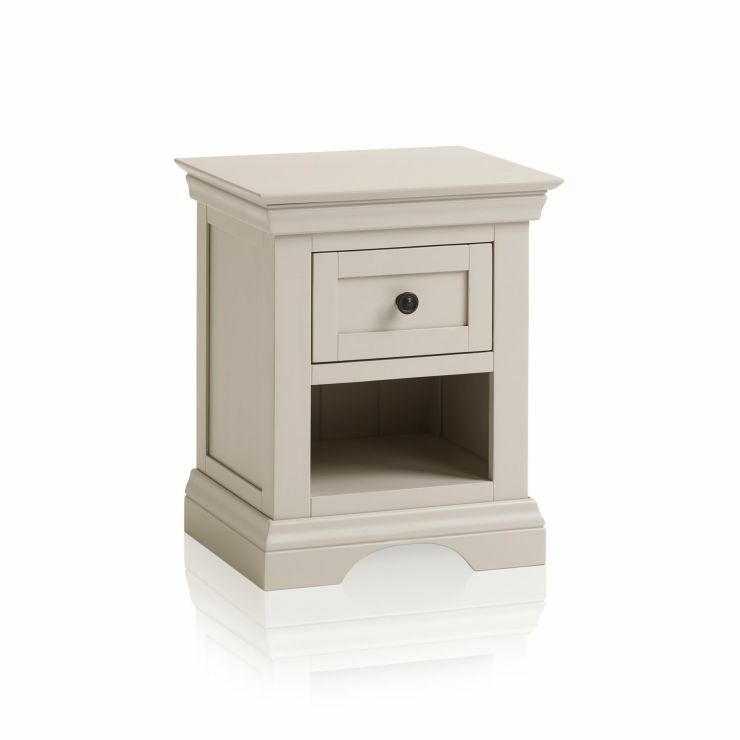 Arlette is made from 100% solid hardwood with a crisp painted finish that looks elegant in any space. 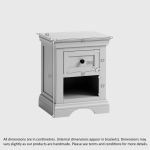 The look is completed with an arched base, cornices, and a panelled drawer front with a contrasting dark metal button knob. 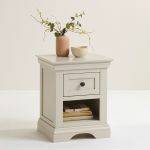 Shop all the high quality pieces from the range today, and don't forget, we offer free delivery to your room of choice as standard!